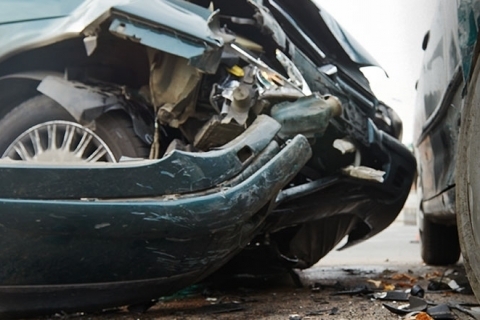 If you’ve been in a motor vehicle accident, there are some important steps you have got to take to secure your insurance benefits. This is true even if you weren’t in your car when the accident occurred and can even apply if you were hit by a car while walking or riding your bike. The personal injury attorneys at Gold Star Law can walk you through the process, and make sure you receive all of your No-Fault insurance benefits. To get things rolling, you need to file your application for No-Fault insurance benefits as soon after the crash as possible. Which insurance company you file this with depends on many factors, but usually you file it with your No-Fault insurance company – even if you were in someone else’s car when the accident occurred. If you do not file this application for insurance benefits within one year of the date of the accident, you will lose – forever – your right to any benefits that you might be entitled to under the No-Fault Act. And remember, the insurance company is not your friend. Gold Star Law’s personal injury attorneys know this and they know how to deal with the insurance companies in an aggressive manner so that you receive the benefits that you are entitled to. It’s also important to know that if there are any reimbursable expenses that are not paid by the responsible insurance company (like medical bills, as discussed below), you have to file a lawsuit for those benefits within one year from the date that the expense was incurred (for medical bills, this would be the date that you saw the doctor or received the particular medical service). If you do not file a lawsuit within that one-year time period, you will lose any right to reimbursement that you may have had. The No-Fault Act requires auto insurance companies to pay for all medical expenses that you incur as a result of your motor vehicle accident. If you have health insurance, sometimes that coverage may be coordinated with your auto insurance and this means that your auto insurance would pay for all medical expenses that are not covered by your health insurance. If you do not have coordinated benefits then your auto insurance is required to pay all of your medical expenses, even if those expenses are originally paid for by your health insurance. As it is with most areas of personal injury law, it is important to have a knowledgeable and tough attorney fighting for you to ensure that you are not taken advantage of by the insurance companies. The personal injury attorneys at Gold Star Law will stand beside you and fight to ensure that you receive all the benefits that you are entitled to.